Vice President Mike Pence tweeted his condolences to Jackson’s family Monday evening. Tuesday morning, Trump tweeted a condemnation of Orrego-Savala, followed by condolences to Jackson’s family. Supporters of reforms that would allow undocumented immigrants — and especially children — a path toward citizenship cautioned lawmakers not to conflate criminals with law-abiding children. In 2012, President Barack Obama created DACA through an executive order. The program allowed certain people who came to the U.S. illegally as minors to be protected from immediate deportation. The program has become a bargaining chip for Democrats, as President Trump and Congressional Republicans seek a budget deal to fund the construction of a wall on the southern border. Meanwhile, supporters of the wall — and, more broadly, tougher immigration laws — pointed to the deaths of Jackson and Monroe as a reason for stricter border security. Investigators believe Monroe pulled to the side of the road when Jackson became ill, and that Monroe got out of his car to assist Jackson. Orrego-Savala tried to run away but was arrested soon after on the ramp to Holt Road, police said. He used the fake name of Alex Cabrera-Gonsales, police said. 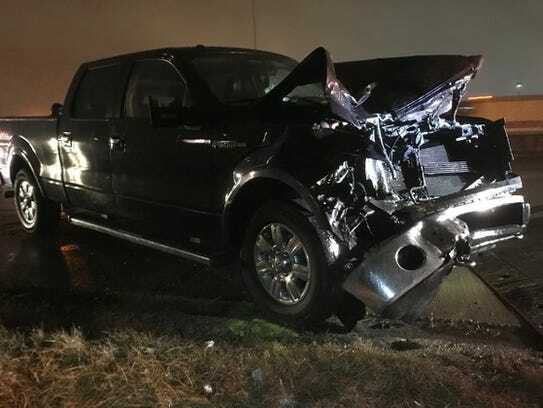 One of the two victims was thrown into the center lane of I-70 during the crash, ISP Sgt. John Perrine said in a statement. A state trooper, who spotted the crash along the right side of the road, struck the body of a victim in the center lane, Perrine said. Police did not say which victim was struck. 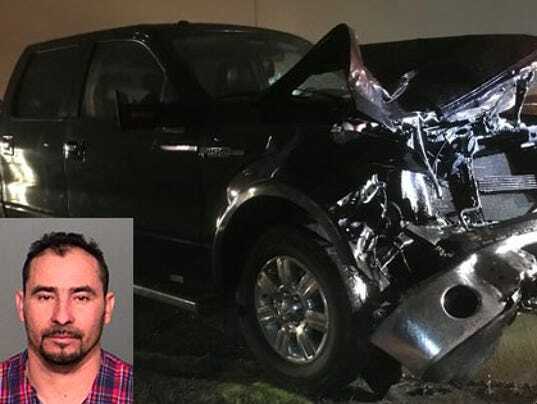 Manuel Orrego-Savala’s blood-alcohol level was .239 percent, according to a preliminary probable cause affidavit filed in Marion Superior Court. In Indiana, a driver is presumed intoxicated at 0.08 percent. Indiana advocates for the rights of the undocumented sought to separate the issue of drunken driving from illegal immigration. More than 10,000 people died in alcohol-impaired driving crashes in 2015, according to the Centers for Disease Control and Prevention. That represented one-third of all traffic deaths in the United States. U.S. Immigration and Customs Enforcement did not return calls by IndyStar. Much of Orrego-Savala’s background, including how much time he spent in Guatemala, is unknown at this point. Immigration to the U.S. from the Northern Triangle — Guatemala, El Salvador and Honduras — grew by 25 percent over the eight-year period from 2005 to 2017, according to the Pew Research Center. Although violence tends to be the oft-cited cause for immigration from these three countries, Guatemala saw a slight decrease in violence in 2017, according to InSight Crime, a foundation studying organized crime in Central America. However, poverty runs rampant in Guatemala. In 2014, the year for which data is most recently available, more than a quarter of the country’s population lives on roughly $3 a day, according to the World Bank. Only the top 10 percent of the country’s population is considered middle class or wealthy. Orrego-Savala has not been formally charged by the Marion County prosecutor’s office. Prosecutors were granted a continuance, moving his initial hearing to Wednesday morning, according to the office. He’s being held in Marion County Jail. State police are working with federal immigration officials, Perrine said.